A unique concept that dramatically reduces the wiring/installation time of multifunction power meters and current transformers. 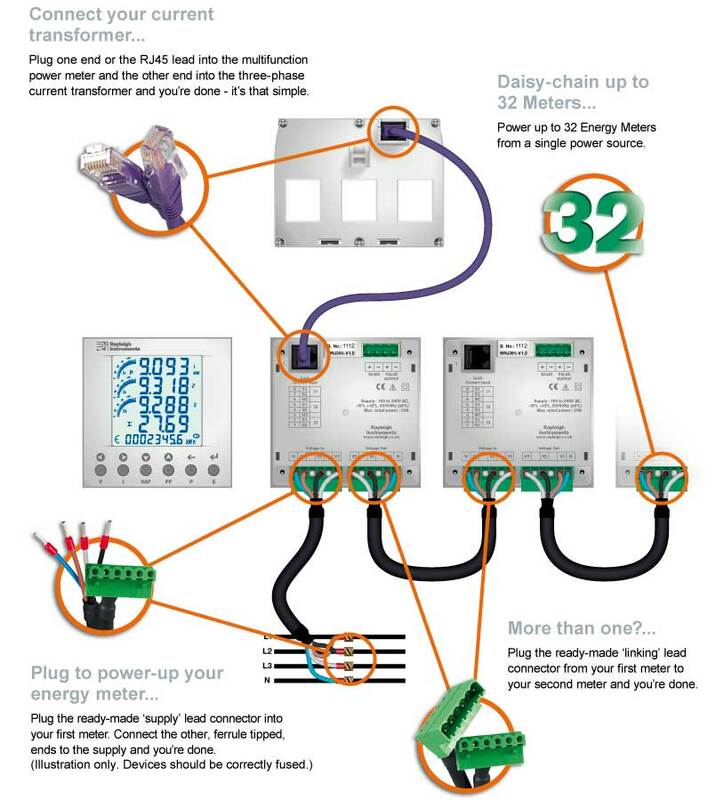 The meters are provided with both input and output voltage connections which allow up to 32 meters to be daisy chained to a common supply voltage via the first meter. Increased safety. Internal circuitry limits high voltages if current transformer is disconnected under load. No need for current transformer shorting terminals. Proven design - successfully in service. Simple plug-in connection for both current and voltage inputs/outputs. Choice of 5 three phase current transformer frame sizes. Choice of 2 meter designs. Fully EMC tested and CE certified. 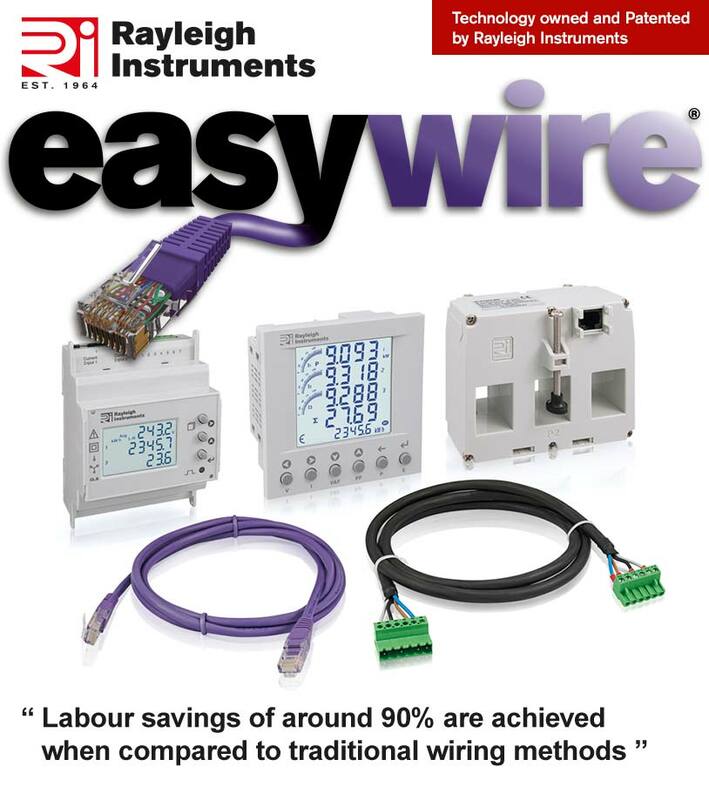 Supplied with or without cables to suit your requirements. Not convinced?... then watch the movies!